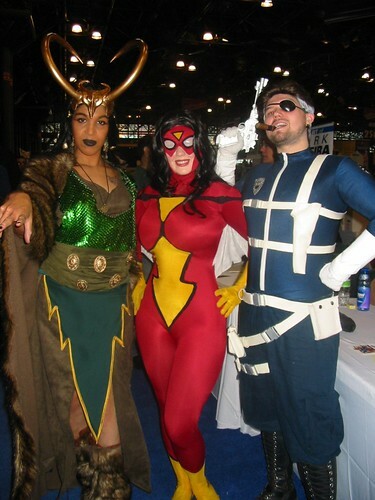 Cosplayer Belle Chere did a great job in pulling together a Spider-Woman cosplay Jessica Drew style. It is complete with mask, and the webbing wings under the arms. The mask and suit are also all perfectly made based off of the comic. You can see that the eyes are white, I am not sure how she sees through it but she does. This is the Jessica Drew / Spider-Woman suit prior to her last launch where they altered her look a bit. Personally, this costume is still my favorite and I love Belle Chere cosplay of it.